Is it worth it to assemble your boards in house? Note: This calculator does not store or save data, nor does it require login or registration to use. None of the data entered is tracked in any way. Let our calculator help you determine whether you'd be better off outsourcing your PCB assembly jobs or doing the work yourself. How many boards will you be producing per year? If you will need additional staff, what will the total annual salary & payroll expense be? If you will need new facilities to do your production in, what will the annual lease expense be? If you are already outsourcing your manufacturing, calculate the cost per board from your invoices. If you haven't begun manufacturing, get quotes from a few assembly houses and calculate the cost per board from there. Make sure that shipping costs and all materials that you provide the assembler yourself—circuit board, components, etc.—are included in your calculation. 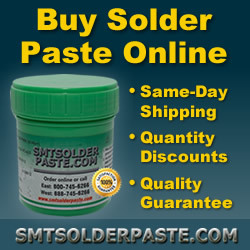 These would include the circuit board, components, solder paste, stencils, conformal coating, epoxies, etc. You may be able to figure this out from the boards you've had outsourced. Ultimately, you want to come up with a per-board cost. This is the number that you can't escape spending if you want to build boards. 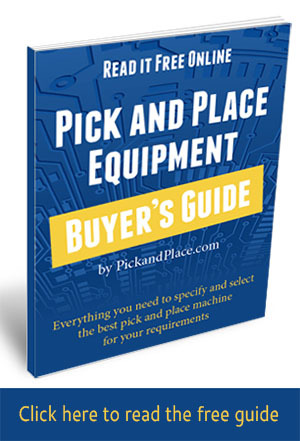 Use the Pick and Place Equipment Buyer's Guide to determine the type of pick and place machine you need. You'll need a stencil printer, a reflow oven, some way to inspect the quality of your assemblies, and perhaps some other equipment, depending on your production requirements. Several companies put together "SMT turnkey" production lines—it might be simplest to select a turnkey line that fits your needs and get pricing on that, or you can price out individual pieces. Use the power consumption specifications from the equipment manufacturer(s), the current cost per kilowatt for electricity, and the number of hours per year that the equipment will be running to come up with an annualized cost.